The MVS in Gloucestershire has recovered a boat which caught fire on the river. The boat owner had managed to extinguish the flames but it needed towing back to Tewkesbury. Head of Unit Nic Price said, “It was late in the afternoon when the call came and we were told that the owner had managed to extinguish the fire but the boat needed towing back to Tewkesbury. By then it was dusk but a crew of three MVS members, Tim Huckvale, David Peet and Will Fish responded immediately and took our cruiser Minerva up river to look for them. The boat was beached half up the bank and tied to a small tree. 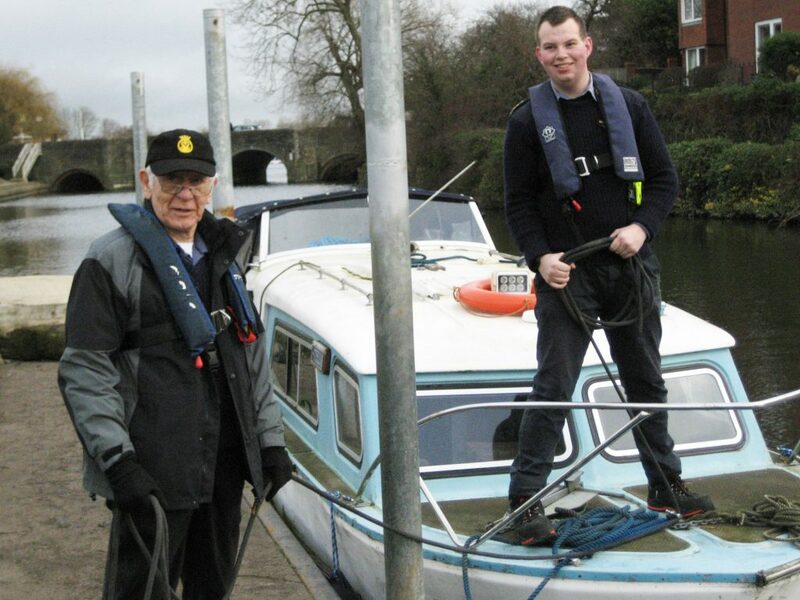 The MVS crew was able to pull her off the bank and take her safely in tow back to Tewkesbury. Regional Head of Seamanship Tim Huckvale said, “We regularly train on the river so that our unit members can deal with this type of situation, but having to do the job in the dark makes it even more difficult and we were pleased how well the operation went and that everyone aboard the stricken vessel was safe and well”. Picture: David Peet and Will Fish on the river in Tewkesbury.